Please do not leave your contact information in this thread! Bought the warrior, extremely helpful, fast and helped with name change all done within an hour, pretty unbelievable! Legit guy! Sold to me! This is my 2nd purchased with him. Always smooth and great person! Bought this from him. Great customer service 10/10 worked with me for about 2 days getting everything sorted etc. Will definitely buy from him again if he has something I want. Thanks for the quick and easy sale man, appreciate it! Thanks again for the Pally! I really appreciate how smooth things went. I will have no problem buying more from you in the future. Thanks again!! Bought from Cobracarry. It was a nice easy process. Will definitely buy from them again. Purchased one character. Cobracarry went above and beyond as we worked together, assisting me at every step. Was upfront about everything, didn't try to swindle and was a quality individual. Will definitely buy from them again and would encourage anyone on the fence. Purchased 600k from cobracarry. Trade was flawless, delivery was nearly instant, A+++++ Best gold buying experience I've had from this site yet, and the price was CHEAP!!! Would absolutely recommend him to any buyers. Thank you! Just bought this hunter, overall process went smoother than I would've expected. +1, would buy from again. just bought the druid from cobracarry. Nice guy, trustable, and legit seller. no issues whatsoever. Bought from him just now. Cobra's a very professional seller and everything went extremely well. great fast seller! very trustworthy!!!!!! Great seller, easy transaction and very helpful guy! If I ever need anything along these lines again will definitely be back. Thanks, quick, easy, and honest. As always, A +++++++ seller!! Account purchases typically require a great deal of effort, more so than a simple gold purchase, in order for them to be completed successfully for both the buyer and the seller. With that in mind, choosing who you purchase an account from is just as important as picking the account that you want. Taking that into account, there isn't a single doubt in my mind that Charax is the cream of the crop when it comes to these tricky transactions. The customer service he provided went above and beyond the call of duty in every sense of the phrase. Not only am I extremely satisfied with the account, but I will personally never purchase an account from any one other than Charax. The internet affords us a certain level of anonimity from one another however when you're dealing with a genuinely good person it makes the purchasing experience that much more enjoyable. If you're looking to purchase from a genuine seller who will walk you through each step of the process then Charax is your guy. Period. Great seller, great, communication, fast and easy. Finished trade for this shaman. Quick and easy. Super helpful and no nonsense. Did exactly what I needed quickly and efficiently, and has been one of the only people to be able to offer the service I was looking for. Would recommend to anyone. Was legit and easy to work with -- great transaction! I would recommend anyone trying to get rid of a wow account to contact him. I'll buy from him again. Thank you for the smooth transaction and reserving the toon for me. trustworthy. I highly recommend Cobracarry. Talking to him now. Very professional and courteous! Legit and awesome seller. Smoothest transaction ever! Thank you. The account was in good standing. Purchased, always a pleasure doing buisness with this seller! Fantastic guy. Let me know asap when an account came through that I wanted, and sold it to me after showing me proof of what I asked for. Completely legit, you won't find a nicer guy out there. Thanks again! Thank you for the smooth transaction as always! Purchased. The seller was not only incredibly helpful in navigating me through the purchasing process but also very straightforward about the costs involved as well as the amount of time I should be expected to wait before everything finalizes. Needless to say it was done faster and even better than expected and the account is a beauty. Thanks again. Just bought the priest, and it was my first time ever, Charax guided me through everything really well, and the sale was quick and easy. Absolutely 100% recommend, and I'll be buying from him in the future for sure! Bought account..everything as stated. was patient with me..a big plus in my book. will use again if the need ever comes up. great service, i would highly recommend! I just bought the paladin, this guy is AMAZING and really trustworthy I felt safe every step of the way and the process was very quick ++rep! Excellent transaction and really good guy. He was able to boost the character and get both weapons transmogged within a few hours after payment. Definitely recommended if you're interested in this service. Really great seller! Walked me through every step of the way, was very daunting but Charax made it smooth and easy. Thank you very much again! Really quick and fantastic to work with. Sold 891 hunter account to him. Solid, helpful, and no problems. Purchased this account from Charax. Despite several payment hang-ups on my end, he was patient with me and allowed me to explore other options until I was finally able to find something that worked. The account has everything as promised, and delivery of the account information was immediate. All-in-all a great experience, and he was accessible every step of the way. Would highly recommend working with him for account purchases. Amazing guy. Super reliable and helpful. Middle manned for me and a seller and he walked us through the whole thing. Super trustworthy! 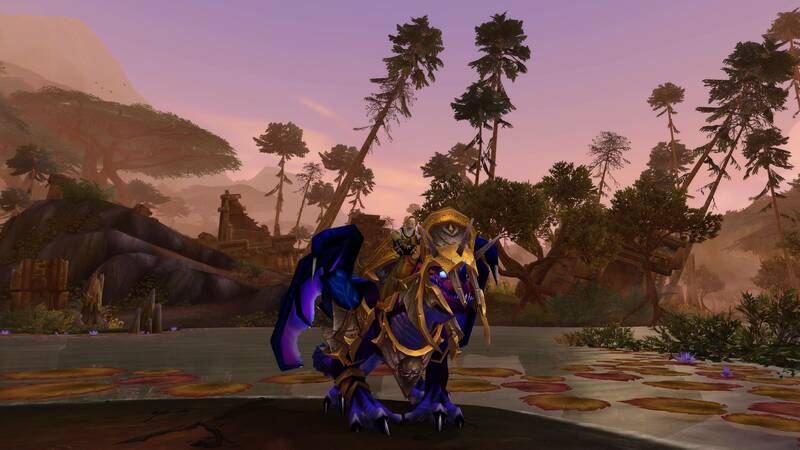 Charax helped me navigate the sale of my WoW account. He made an offer, but I ended up going with someone else and he ended up being our MM. He was professional, courteous, and very helpful. I definitely recommend him. Bought warrior straight from Charax fast easy and as promised. sold 892 shaman, very smooth, fast & patience. Answered every question I had and everything went nice. Would totally recommend to anyone. Really easy transaction. Great guy to work with. Would definitely do business with again! Sold account I've had for years, very reasonable offer, quick transaction, A+! Charax never fails to disappoint, he provides absolutely amazing customer service, amazing products, and is helpful the whole way through. Whether buying or selling, I won't ever look any further than him! Speaking with now... Will update. Update: Was friendly and professional. Sold character for a good price. Would highly recommend to anyone looking to buy or sell. I hope this will bring joy to both of us. Went first had no problems. Not pushy at all. Good deal. Payment right after info/id pic was sent. Would do business again 10/10 professional. Bought this account, I really appreciate it bud for waiting on me! Great seller and easy to work with. Thanks again! Excellent seller! Step by step and very professional. I contacted the him via Skype and was asking him if he can find me an account. Long story short, he did! Also, the name change service was well worth the price. I will buy again. Bought!, another pleasant transaction. Very good trader. account sold, great seller and very helpful would recommend!! Charax was awesome to work with. Clear communication through out the whole process and couldn't recommend him enough to anyone else thinking about purchasing a high value account. Had a couple of technical issues but he worked with the GM in order to resolve them for almost immediately. Will most certainly work with him again in the future! Once again this dude has met my expectation with his professionalism. I got second account from him. Best guy i've dealt with. Thanks man! Fast/legit/reputable. Bought a nice account. Was quick, easy, and very smooth. High remarks! I have bought the character and it was a very smooth process. Charax was very patient with me with my request and preferences and was able to get me this high end account. The transaction was very quick and professional! Very good service, helped me out big time. Bought DK and was exactly how I wanted it. Second transaction I've done with Charax. Even smoother than the first, could not imagine an easier exchange. I will most certainly come back when I'm in need of another high tier account. Bought account !! This guy has some of the nicest accounts I have seen on the market and very reasonable prices. I have bought from him a couple times without issue. Thanks again man for another great deal. Amazing service, very professional, patient and understanding. Would work with him again anytime. Words cannot express the gratitude I have for Charax. I bought an account from Charax in the past so we stay in touch and talk regularly about accounts he currently has in stock and random things that come to mind. 13 days ago on the 5th of February I was scammed out of an account that I bought from a random person on EpicNPC. Charax, out of the kindness of his heart, helped me through the entire 13 day process and I am happy to say that as of today I was refunded my full $600.00. This 100% would not have been made possible without the help of Charax and the knowledge he has in this business. Extremely smooth sale. Was very helpful in walking me through the process and promptly paid upon receipt of the character. A++ Buyer. Just finished. Extremely helpful and knowledgeable. Highly recommend! Just sold my long time account to Charax, and I came away from the experience extremely impressed. He was professional, knowledgeable, and helpful, detailing the whole process while being very open about both things he liked and disliked. Charax gave me what I felt was a very respectable and fair offer. When I was first contemplating selling my account, I had contacted a seller "Khaccounts," who was extremely rude and unprofessional, souring the idea of selling my account for over a year. After half a year of playing Legion many of my friends had quit the game, and I decided to look into the market once again, this time finding Charax. I initially contacted and he gave me an offer and was completely understanding in that I wanted some time to consider selling, and after some time I approached him again ready to sell. Awesome service yet again from Charax. Quick sale, very helpful. Would recommend him to anyone. Smooth trade, walked me through the entire process and was quite easy. Very professional, patient and helpful. Would recommend to everyone! Charax is without a doubt the most experienced and trustworthy high end account seller in wow!! My transaction was handled efficiently, SAFELY, and most importantly it was a fair price. I am so happy with my new account. (Everything has come as discribed AND it had a little gold on it as well - unlike any other seller he spends time with his clients making sure they are happy with their purchase before worrying about his own benefit). Thank you so much charax!!! 2nd account I've bought from him. This is the best seller on the website, period. Everything smooth as usua. Smooth transaction as always hassle free. 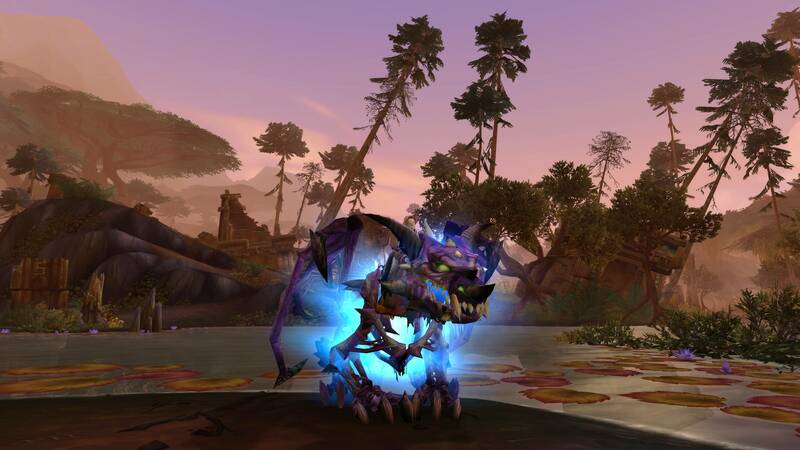 I can always vouch for Charax proffesionalism to handle all things pertaining to buy sell or trade WoW accounts. You are definitely safe with him. Teo thubs up! Purchased a Priest with Benediction. Excellent transaction, I couldn't be any happier with the whole process. Sold a character off my primary account everything went smoothly and efficiently. Couldn't be any happier. Just bought a High-end account from him, super patient, super easy, fair price. Would buy from him again. Really professional service and smooth!!! Greatly recommend this guy if you want to buy accounts safely and have no issues!! Great seller. Very smooth process and would recommend anyone looking to purchase an account. Don't find many like this guy. Just bought a character off Charax, was an amazing experience. He was extremely flexible with me on time, honest and straight to the point. The deal happened very quickly and there was not a single moment where I felt uncomfortable. If you are ever uneasy about buying accounts because of bad past experiences then you should look no more and contact him immediately. I never thought buying a character could go this smooth. Thank you for your flexibility and promptness, even got this all done before our raid which is incredible. Thanks again! Wow, what can I say? This guy is the real deal. Extremely professional, very through and ensures everything is 100% safe and secure for both parties involved. If you've ever worried your self with buying a WoW account worry no more. I bought an account from him and he went beyond the mark to ensure I got excellent service. Working outside of his business hours and even staying up until the late hours of the morning to finish my transaction. He's an excellent guy, HIGH HIGH recommended. A+ 5 Stars and I'd even buy him a beer. It's no wonder you're the number one seller. Again, great service. Extremely happy. Bought s1-2 pally from this guy. Walked me through everything. Very knowledgeable and knows how to do business. I've currently have bought two different accounts from Charax, and both were super smooth transactions, I am now more then confident that i'll continue to buy from him for as long as hes around! Keep up the good work man! Will recommend to everyone. Bought another account from Charax and yet again smooth sale and professional service! Never have I ever sold an account, or bought an account. I did not know what went into it, how much time it could take, or anything of the sort. Selling a "big ticket" item like my main, I thought would take some time, but this man got it sold within a week of listing it. Everything went smoothly, and I couldn't be happier. Straight professionalism from him, would highly recommend. Sold him my account, extremely helpful and friendly. Answers all my questions. Never met anyone who does business as smoothly as him. Would recommend. just did business with him! super helpful, patient, and willing to answer any questions i have. A+ this guy is the real deal! I would have never thought selling my own account would be so fast and easy! Charax and I only spoke for a couple days before he found me a buyer! He was very clear and offered me different options about how to go with the process. As soon as a buyer was found the money was sent to me immediately! Couldn't recommend anyone anymore than this guy, absolute top bloke! Will definitely use this guy again. I bought a high-end priest alt off him. The who process was smooth and fast. He's an extremely professional and honest seller. Would recommend to anyone looking for a high-end character who has the money. I will definitely buy from him again in the future. Cobra is a good person. I bought a high end mage from him. He is patient. The moment I opened chat with him on Skype, I knew he was reliable and someone I could count on for a smooth worry free transaction. I bought an account from him and within minutes I received User/Password and was able to log in to my new account. If I was in the market to buy multiple Accounts I'd be sure to look no farther than Cobracarry(Charax). This was my first time doing anything like this and I read all the glowing reviews of Charax and decided to try it out. He was amazing, patient, explained everything to me, helped me out every step of the way and never got frustrated whenever I was a little slow on the uptake or didn't know what to do. I recommend him 100% especially if you are hesitant to get into this because of any fears you might have. He was very professional and I look forward to working with him in the future. Great seller - fast, reliable, and straightforward. Good business. Bought an account from him with no hassle. Reliable seller. He will help out even after the sale is completed. Would recommend to whoever is wanting to start playing again. Now, this is was my first time ever dealing with selling a character through wow as i have always been extremely skeptical of fraud. To spare anyone that reads this all the details I am 110% satisfied with him and the way he handled our business. He made the whole transaction about as sketch-free as possible for two random people making a deal over the internet could be. I just want to say that I appreciate the way he handled our business and when I finally decide to quit the game for good I will defiantly be getting ahold of him again to sell my entire account next time. He enjoys what he's doing and is very passionate about his reputation on here. He asked me long before the deal went through to write a review for others, but that was weeks ago and he hasn't pestered me about it since, to which i have respect for that so i am going out of my way to write this review so that anyone that is skeptical about doing business on here in general will understand that if your interested in buying and selling a WoW character (can't recall if he does more than this) he should be your go to guy. I apologize once more for the lengthy review but find it important when making decisions regarding such transactions. Where do I begin? I sold my World of Warcraft account to him with ease. He was able to walk me through the sale, step by step with professionalism and compassion. I have attempted to contact other seller's in the past, but they do NOT even come close to this guy. The level of professionalism is through the roof, Charax/Cobra went above and beyond the call of duty to assist me with my sale. I would ONLY recommend Charax/Cobra, if you're in the market for purchasing or selling any products, talk to him. A++ 10/10 seller/buyer and all around good guy! Bought a warrior account from this seller, smooth transaction. Super friendly and professional, will buy again. bought a sweet rogue of this guy, legit seller and great warranty! Bought an extremely high end account from CharaX worth over 7k, the transaction was fast and easy and there was guidance every step of the way. this is my second account i bought from him with zero problems. Great seller and awesome person! Super attentive and honest. Would advise for my best friend. Thx for the fast transaction. Brilliant seller, patient and painless to deal with! Best in the business! Bought my 3rd account from Cobra. He always keeps me coming back for more somehow... Just bought a Mage. Thanks! The reviews don't lie. Smooth, easy, quick transaction 10/10 would recommend. Thank you so much! Bought a high end DH from this guy. Very easy to deal with. I ended up not enjoying the character, so he assisted me with a resale. Customer service at it's finest, he is now my preferred seller. Bought account, A+++ fast and easy!! Charax is very professional and will take the time to explain everything to make you comfortable, even when you spend hours asking questions there are no negative responses. This was my first time ever to buy an account and so far I am extremely pleased with what I purchased and it was exactly as described! If you are on the fence about buying an account or selling an account speak with Charax. You will not regret it nor waste your time. I will be a repeat customer and will not use anyone else other than Charax! Thx charax, legit and best guy to deal with. Excellent buyer/seller. Smoothest transaction I've ever experienced with MMO account/character selling. Absolutely would recommend. 100% Professional and legit seller. Everything was fast and efficient and I was helped throughout the process. Got exactly what I wanted and everything was squared away immediately. Friendly service on top of it all! Will absolutely use the service again given the opportunity and can vouch for anyone interested in buying/selling accounts! Very professional. Easy and quick transaction. 100% Legit Seller. When step by step through the process and completed it quickly! A++++++++++ Will definitely be using this guy again! I know this is only a week apart from my last comment, but I was so satisfied with my first purchase that I came back for another. Charax continues to provide the highest quality accounts with unparalleled service. From this point on I if I ever need another character or account I will do business exclusively with Charax! Legit and fast seller. Easy going and smooth transaction. Will recommend! Thanks made an easy sale to him! Excellent Seller.Made me feel very comfortable about buying the account.He will go above and beyond to help you out and explain everything.Charax is the only one I will trust from now on when it comes to wow accounts.Definitely 100% recommended to anyone buying or selling. Dealt with Cobra/charax for awhile, always helpful with any questions even if it's unrelated to his business. Ended up selling him a character and it was a very quick and painless process. Great guy. Just purchased another account from Charax. Quick and really easy to deal with. Offers great account security for the top accounts on the market currently. An absolutely fantastic person that helped me through some processes, and went into as much detail as I needed. Extremely helpful and very informative. even if it's not related to anything he is selling, he still helped me. A+ support, can not recommend enough. Sold my long played and cherished account to Shark and I am very pleased with the amount of money I received for my account and the overall transaction! Just bought a character from this seller. Learned a few things one the way. Very responsive and helpful. Overall, 5 star experience. Highly recommend!!! If I met Charax/Shark in real life I would buy him a beer or six. Dealing with him has been easier than dealing with my drive through McDonalds. If you are looking for WoW accounts, it's worth going with this man for piece of mind and absolutely amazing communication. Bought an account from him. He's allowing me to do a payment plan so I can't complain. Everything went smoothly. Just sold my account to him was surprised by how fast i got the money after i gave him the account details thank you so much! Quick and easy. Very professional - happy to have done business with him. A+ seller!!! Fast and Easy transaction. Would recommend to others. Very nice and extremely fast seller, the trade literally took about 10 minutes. I could even trust him enough to give the account info first before he gave the money and of course still paid me quickly after. Definitely will be selling to him again Thanks so much! Very happy, chatted for quite awhile and answered all my questions, very easy to talk to! Easy transaction. Would recommend and will probably be back for future purchases! Thanks! Very happy, with this transaction, he walked me through the process step by step, answered all my numerous questions. I can see why he is number one on this site for positive reveiws. 10/10. would recommend. I've purchased from a number of big sellers with flashy websites on the web. And I knew on my next character I wanted something that these sites could not offer at the time. Cobra was the guy I knew I needed to contact. Within a few minutes I was able to find exactly what I wanted for a reasonable price. He made the process incredibly easy and was a super helpful and patient dude. I'm def gonna get with Cobra on my next character purchase! Thanks Cobra!! Just bought my second account from this dude. Quick and easy just like before. Sold 2 accounts and purchased 2 accounts from cobra/shark and both went smoothly and he helped me out a lot. Highly recommended and I always check every day on ownedcore just for his accounts! Bought a toon off Shark and it was a very easy transaction! Haven't done any account buying/selling in over 6-7 years but he made the process feel very smooth and trustworthy. Would definitely recommend! Bought an account from Shark. Its expensive but its a great account and its worth it. He guides you through the process which makes it easy. Thanks! I never really had a chance to buy accounts or services, but Shark helped me every step of the way and even watched my back for scammers when I was still being new to this kind of service! I 100% recommend this, he was friendly even outside of business transactions! Very helpful trader made it easy for me even given my unique circumstances. Has very strong communication skills and made this transaction a positive experience. Great experience from start to finish. Super positive experience and seller was extremely helpful! Great seller...worked out payment plans has been 100% upfront with everything prior to buying...would buy again. Amazing seller! I bought a high-value account with no issues whatsoever. He even offered a payment plan to make the payment process more convenient. Bought yet another account from him making my third. He allowed a payment plan to make it easy on my bank account. Will probably come back another day to do even more business! This is my second transaction and if possible it was even smoother than the first. Excellent, quick seller and will help you every step of the way. Highly recommend! Bought an account today , super quick and easy to deal with. Great trader. Extremely helpful friend, got a Scarab Lord from him and he was extremely patient and kind. Would happily do more business. Transaction went smooth, best seller I've seen yet. Just sold my decade-old WoW account. Tons of rarities, so I was very nervous about selling at first, but this guy was a great buyer. Highly recommend, great communication. Gave me a fair, solid price. Sold my account that I've basically had since I was 9 y/o. Really cool and understanding guy. Probably one of the smoothest transactions I've ever had. Was fast and smooth transaction and worked with me on what exactly I wanted. Great Job Shark and thank you soooo much! Everything's solid so far. Very helpful during the process. Thank you!